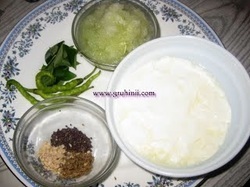 Mix grated cucumber(kakdi), salt, finely chopped green chillies and curd well in a bowl. Heat 2 tea spoons of oil in a pan and add mustard, jeera and udat dal to it. When rai starts spluttering add curry leaves fry for few sec. 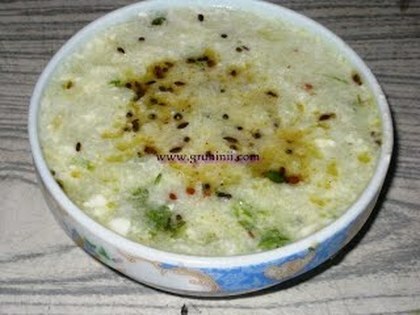 and add the thadka to the chutney. 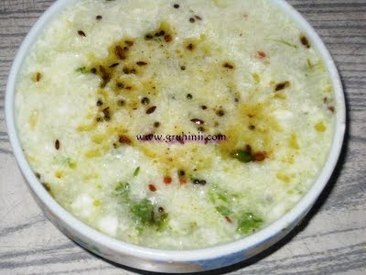 Tastes good with Rotis and Chapatis.